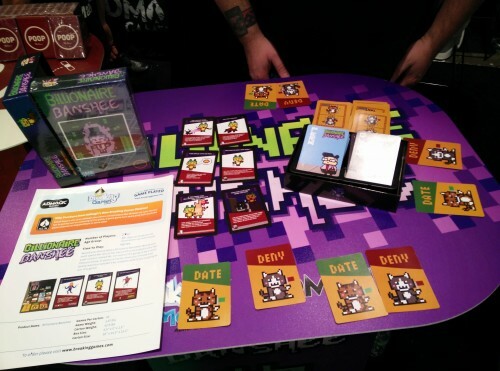 Breaking games, a new publishing division of AdMagic, had a great booth packed with indie games. I spent a lot of time there checking out each game, talking to the developers, and having a real blast. It’s always great talking to folks from small press, as they’re always so full of enthusiasm and pride for their games. 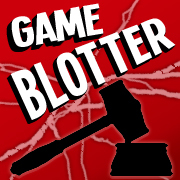 I previously previewed Hogger Logger while it was running on Kickstarter. Finally getting to see the finished product was great, as the game has real polish that I didn’t get to see in my prototype version. What really impressed me is how their Kickstarter finished in September and they’re already shipping backers their copies. It was also kinda nice to see a quote from my preview on their table. Currently taking on Pre-Order. 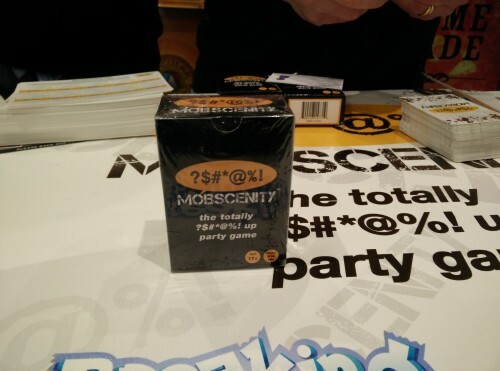 Hot on the tail of games like Cards Against Humanity, Mobscenity is an adult-themed party game with horrible, horrible potential. Not outwardly as crass, the game’s cards are pretty mild. It’s when you combine them with the right group of people that morality takes a nose-dive into the ground. Every round the current Master plays two cards, each with one word on them. Then the rest of the players must come up with a definition. The best definition wins the round. Some combos I quickly saw at the booth were Donkey Crack, Chocolate Spank, and Cream Dragon. Available now. Another party game, Funemployed has players using a hand of 3 cards to come up with a resume for a job posting. Cards can be swapped out with face-up cards on the table to help come up with a better story. We played a quick round and the results were pretty amusing. If I recall I had come up with a french-speaking male consort who was currently trying to get a job as a school nurse. The game is currently up for pre-order. 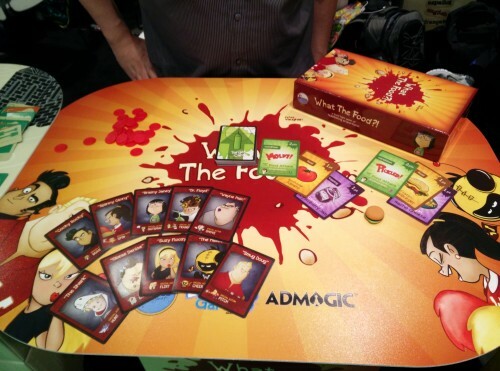 What the Food is a card game about a high-school food fight. Players take the role of different characters, each with their own special ability, in a huge food fight where you’re trying to get out with the least mess on you. The more you’re hit, the more humiliation points you gather. The person with the least humiliation wins. The game has a programming element to it where you’re stacking your moves ahead of time, and seeing how everything plays out. There’s also special cards in the deck that can have positive or negative effects depending on your current standing in the game. Currently available for pre-order. 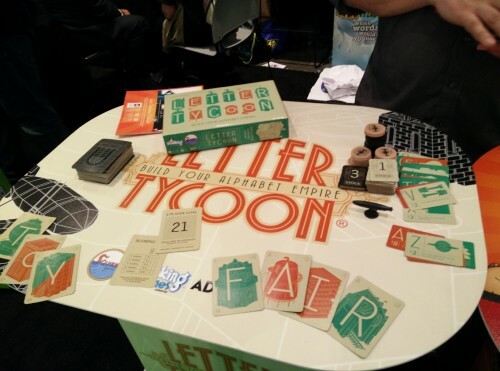 A word game with an economy. Building words earns you money. 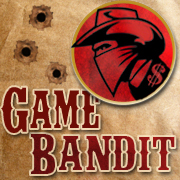 Money you can use to buy letter patents that earn you more money each time other players use those letters. 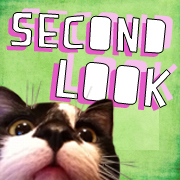 Fast paced, and a really cool idea overall. Players must work get to patents, stocks, and money to come out victorious. A game about dating with 8-bit art and a sick sense of humor. Combinations of traits are put together, and you need to guess if the other players would actually date the character with that set of traits or not. There’s some strange stuff in there, and most of it is pretty hilarious…and filthy. Available for pre-order. Ah, Poop. 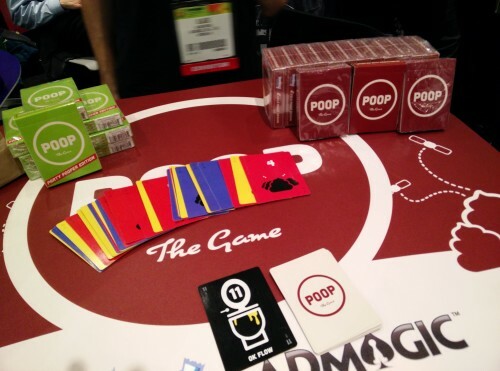 A game about…poop. Developed by the designer and his son, Poop has you doing your business while trying not to clog the toilet. Players play numbered cards under the current toilet card, trying not to go over the number listed. If 3 cards of the same color are played then a courtesy flush is performed, clearing out the current toilet. There’s also cards that have you perform certain actions, like making fart noises. Simple, quick, and a sure-fire hit for any children players. Available now. 49 is a game that takes a bit of brain. You start off the game with $49 and some chips. 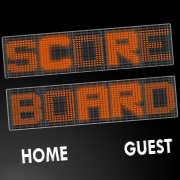 Players need to bid for numbers on the board to try and get 4 of their chips in a row. 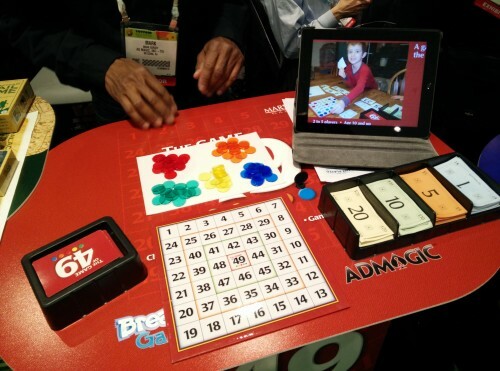 Of course it’s not as easy as it seems with Payoff cards and other actions to mix things up. Available now. 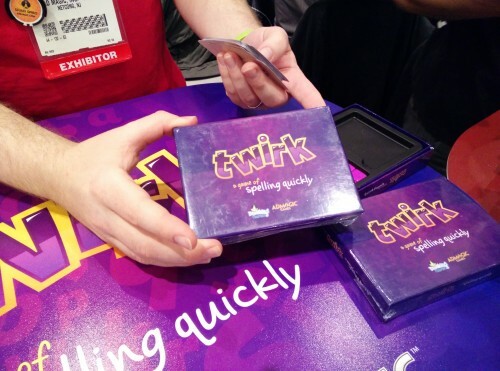 Twirk, aka The Game I Am Most Bad At, is a word game where you need to quickly spell words using the cards in your hand and a dice rolled on the table. The tricky part is there’s a letter limit, and a time limit. I swear I sat there looking at a hand of cards for like 5 minutes trying to figure out a word while the designer pumped out words and tried to convince me I really wasn’t an idiot. I blame my performance on the heat of the show floow, dehydration, and anything else I can get away blaming it on. This is a game I could see my 9-year-old utterly crushing me at. Available for pre-order. 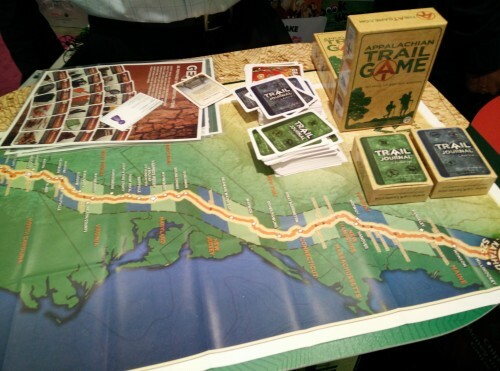 And educational game about hiking the Appalachian Trail. Players learn to identify plants along the trail, low-impact camping skills, and the 10 most important things to have on a hike. The first player to hike the entire trail wins. One of the coolest parts of the game is the board is printed on the same material as trail guides, so it’s super rugged and almost impossible to rip. This is one I’d love to play with my Cub Scout Pack. Available now. 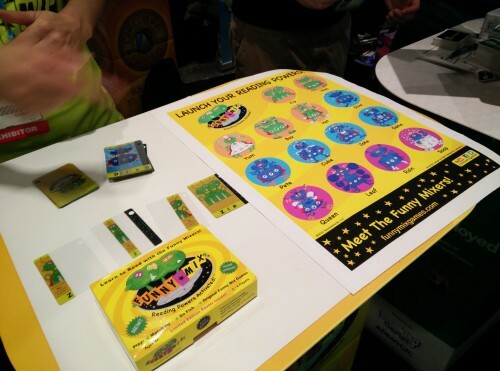 One of my favorite games of the show, Funny Mix is game that helps children read. The game is full of super heroes who’s names are real words, and also describe the power that hero has. Using cards that have a printed piece and transparent sections, kids put together their heroes while sounding out the letters and forming words. There’s a bunch of ways to play, and heroes with both 3 and 4 letter words to use. I’ve got a 4-year-old who’s currently learning to read, and this would be absolutely perfect for him! Available now.